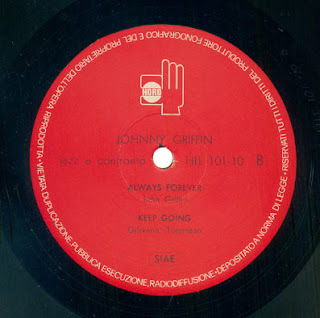 The volume n 10 of Jazz A Confronto series, by Johnny Griffin, is for now the only one that has been reissued on CD, thanks to collaboration between HORO and the Atomic Jazz. The CD is available at many sites, as JAZZLOFT, amazon.ca, Worlds Records and more. 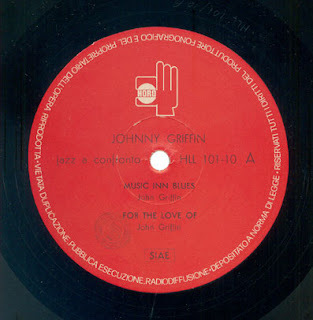 Precisely for this reason, you will not find this recording on shared on this blog, but I gladly make you hear the first track, MUSIC INN BLUES, dedicated to one of the historic jazz clubs in Rome. If you like this, and how it would be possible otherwise, buy it! 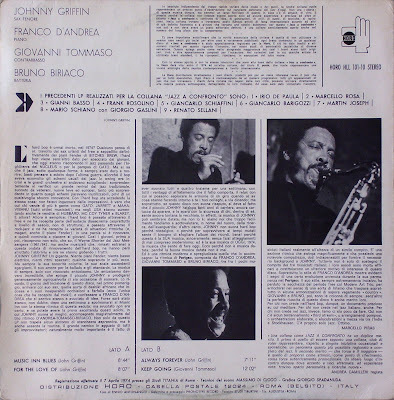 In addition, the reissue contains “The Pasta Parade”, a tune based on Gershwin’s “Strike Up the Band”, not included in the original vinyl edition, but included in the anthology of unreleased and alternative tracks, published in Jazz A Confronto 17. A1) Music Inn Blues - 8'44"
A2) For The Love Of - 8'07"
B1) Always Forever - 7'11"
I didn't even know this was available. Just put my order in. Thanks for the information. My CD copy arrived during the week, but I didn't get round to listening until the weekend. What a great record. 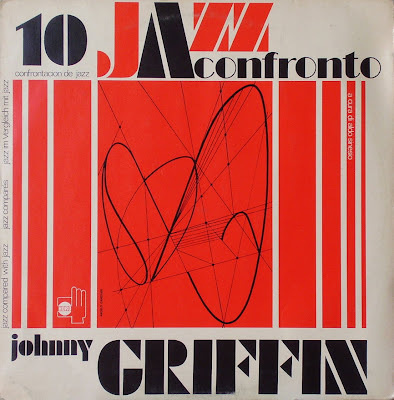 It's a shame Griffin didn't pay with this band more often. They're tight and Griffin is in top form.